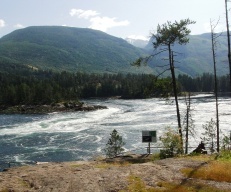 Doriston is a small community situated southeast of Egmont and the Skookumchuck Narrows. When I say small, I mean small. There are 13 properties side by side over the space of a couple kilometres. Each one extends approximately 1000 feet back from the shoreline. There are only a couple of properties that are open and lived in year round. The area was first settled back in the early 1900’s when a sawmill was built. A number of people moved into the area shortly after to log, fish and farm and in 1912 a school was built. There were generally between eight and 12 students and one teacher who taught everything. By 1915 there was a post office called Shaw Cove and a telegraph service by 1920. Sam Lloyd arrived before the Second World War and when Austin Shaw, the postmaster, went off to war Lloyd took over as postmaster. Once a week Lloyd would row to Sechelt and back to pick up the mail. This was a distance of approximately 55 kilometres. Doriston was named after Lloyd’s daughter Doris. 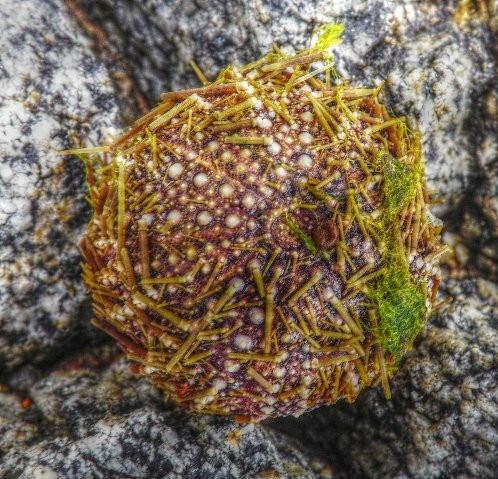 Little sea urchin found at the beach near Doriston. The Gjerdin family arrived from Sweden in 1924. There were three children – Gunnar, Martin and Harriet and the two boys stayed for most of their lives. They built two fishing boats which they moored in a dredged out boat harbor in front of their property and in the winter they logged. Gunnar became known as the “mayor” of Doriston and died in 2003 at the age of 90. He outlived his brother and his wife Cherry, but his sister Harriet still survives. There are no commercial businesses in Doriston today. Internet is only by satellite and there is no cell phone reception. No roads in except logging roads that are impassable by vehicles including 4-wheel drives. Access is by boat – 10 minutes from Egmont and 15 miles from Tillicum Bay Marina in Sechelt. The trail that takes you over to a logging road west of Doriston is sometimes quite difficult. I have hiked it three times now - May 2011, May 2012 and June 2013. The trail is not well-used, looks more like an elk trail and it is obvious the elk use it! 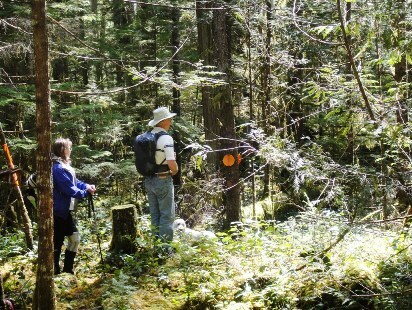 There is flagging and markers, but there are stretches of trail where it can be confusing. You are welcome to hike to the logging road that takes you down to the beach and an old log sort. However, Doriston itself is private property. Please stay on the gravel logging road. If you travel down a grass road, heading south, you'll be entering private property. In effect, it would be like someone showing up in your back yard without your permission and having a picnic. You probably wouldn't be too thrilled! Please respect the residents' privacy! The logging road to the trailhead is accessed off Egmont Rd. It is the same road that takes you into Klein Lake. Instead of taking the turn in Klein you keep to the left and travel up and along the east side of North Lake and Waugh Lake. The road is good and most cars can make it quite a way. There are some shallow cross ditches, but unless your car is really low it is doable. However, the road gets rough after a couple of kilometres and you will need 4-wheel drive for the rest of the way. The trip in and back is about 8 kms from where we parked our truck. The highest elevation is about 257 metres (845 feet). Most of the trip in is downhill so the trip out is mostly up hill. Only the first 1.5 km through the bush and past the wetland is difficult and not well marked. Once you get out to an old skid road the going gets easier and then you pop out onto a logging road that will take you down to the beach and an old log sort. This area is public, but once again I want to reiterate that the property south of the logging road is private property. Please don't trespass! Click here to return from Doriston to the Sunshine Coast Home page.